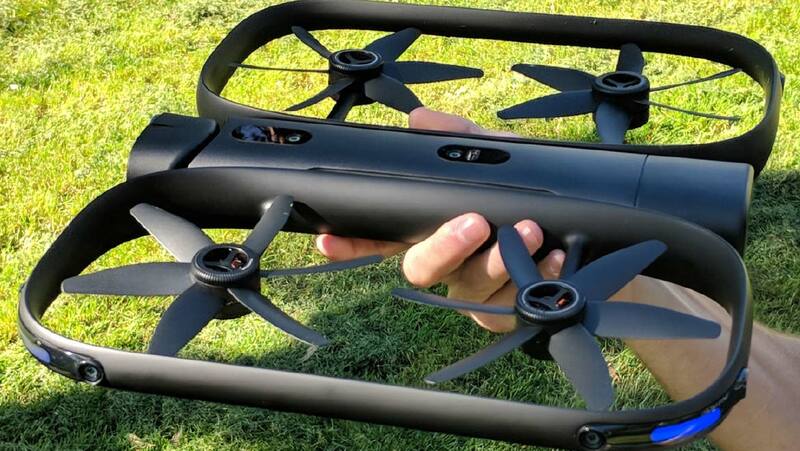 Skydio’s drone is reported to have “self-flying” capabilities. The drone, R1, is capable of locking-on to an individual and following them while shooting videos and avoiding obstacles, simultaneously. This automated drone can track you down on its own, while it avoids tree branches to keep you in its gaze, Impressive? That's not all - the drone is a robot that can be flown without expertise and doesn’t even require a controller! What Does the “Self-Flying” Drone Do? 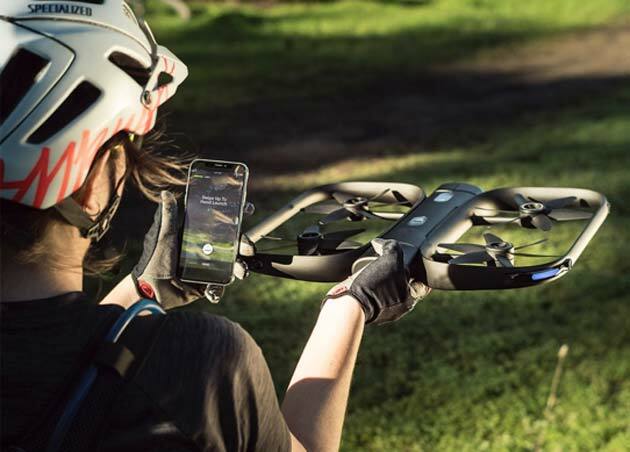 This new breakthrough, a product of four years of research, was founded by MIT researchers and backed by Silicon Valley’s top investors, by an autonomous-drone startup called Skydio. The drone is called R1, and it is an AI-powered quadcopter capable of shooting 4K videos and maneuvering complex environments, such as forests, all on its own. This drone has the ability to track and follow vehicles as they move through challenging terrains, previously impossible to film, without a drone pilot. "With Skydio R1, cinematography becomes a software-defined experience. That means we can regularly introduce fundamentally new capabilities over time for all existing and future users," said CEO of the company, Adam Bry, in a statement. These efforts can contribute to the future of software and AI. In light of that, less than two months after the introduction of this drone, new functionalities are already being added to the device. Also, owing to the strength of its core tech, experts believe that R1 is indeed a highly intelligent system.In addition to the new "car" mode, Skydio has also updated its "lead" mode with the purpose of plotting the user’s path before shooting any footage. The company believes that this new update will bring “more intelligent behavior” when it comes to navigating obstacles. "Quarter lead" and "quarter follow" modes also shift the perspective from only allowing straight-on or profile shots. This kind of drone has several flying modes that frame what sector of footage it’s able to capture. For example, there exists the following modes - the side, orbit, and lead. The drone also has some interesting modes like “stadium” which is designed specifically for capturing field sports. The technical capabilities of smart drones like R1 include control perception and planning intelligence. They also can be used for inspection and exploration, the primary task for monitoring surveillance, 3D mapping or detection of an object. There are many applications yet many necessities to achieve something like this. The startup is utilizing many of the same technologies that autonomous car companies have been implementing. The R1’s brain is a 256-core Nvidia TX1 processor, a several-hundred-dollar component already being used in a number of self-driving vehicles. The idea is that you could launch the drone, lock it onto yourself, and ski down a mountain as it tracked you to the bottom of the slope, while also capturing 4K footage. R1 can travel at a maximum speed of 25 miles per hour while maintaining its autonomous bearings, and the battery life is 16 minutes on a charge. The drone has 64GB of onboard memory. The drone can also be flown manually using the phone app for iOS or Android and it is very easy to use, making R1 ideal for drone novices. In the past, many companies have tried to create something like this and haven't exactly been successful, i.e., a completely autonomous drone, both safe and robust, at high speeds and in busy environments. Skydio also claims that RI is the first professional-grade drone that can be flown without any prior experience or expertise, whatsoever. The creators of this product, in fact, believe that this innovation could pave the way towards building the most intelligent drone ever. Admittedly, the research will continue; it also indicates that artificial intelligence can make a big difference in this direction. The abilities of the drone are a wondrous innovation that could be used for many high-budget films. Conversely, the need for smart drones will expand the efforts of researchers, which have given rise to claims that this is the way of the future. However, despite the financial profit, such drones can track users while navigating itself through dense forests or urban environments, like a warehouse, that could lead to new conditions for our own convenience in terms of technological progress. Presently, Skydio is searching for an audience of people who are interested in the idea of shooting footage, without a pilot. Alongside the product announcement, the company also revealed that it recently closed a $42 million Series B round of funding led by IVP and Playground Global. Other notable investors in the round included Nvidia, Accel, Andreessen Horowitz, and Kevin Durant. With this round, the company has raised about $70 million to date. The R1 “Frontier Edition” is available for order now on Skydio’s website, and it includes some extras like an additional battery and propellors. The Skydio R1 Frontier Edition now sells for a decently priced $2,499.